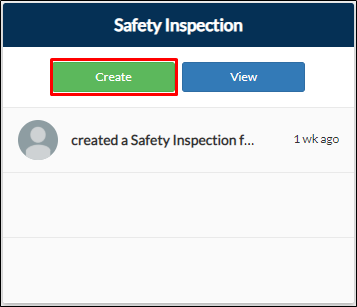 From your project page, go to Risk Management tab > Create on Safety Inspection tile. From your navigation bar, go to Risk Management > Safety Inspection. Or type in 'Safety Inspection' on the search bar located in the upper right corner of your portal. 3. Fill out all necessary fields.